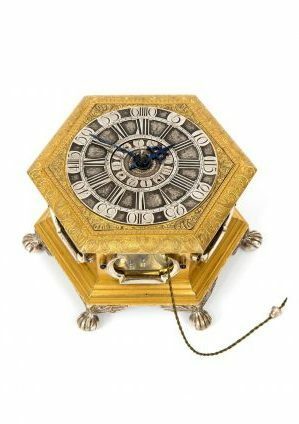 finely engraved silvered brass plates signed P. Wast Amsterdam, barometer, thermometer and controller, rectangular mahogany case with classical pediment with carved leaves around a lyre, glazed door, protruding back board with quarter columns, cistern cover with carved drapes above two carved finials. In 1643 Torricelli invented the barometer which measures barometric (air) pressure. With it one can make a short term weather prediction. One of the practical problems of the circa 1 metre mercury tube is that the scale only measures circa 8 centimetres and most changes only occur in millimetres. 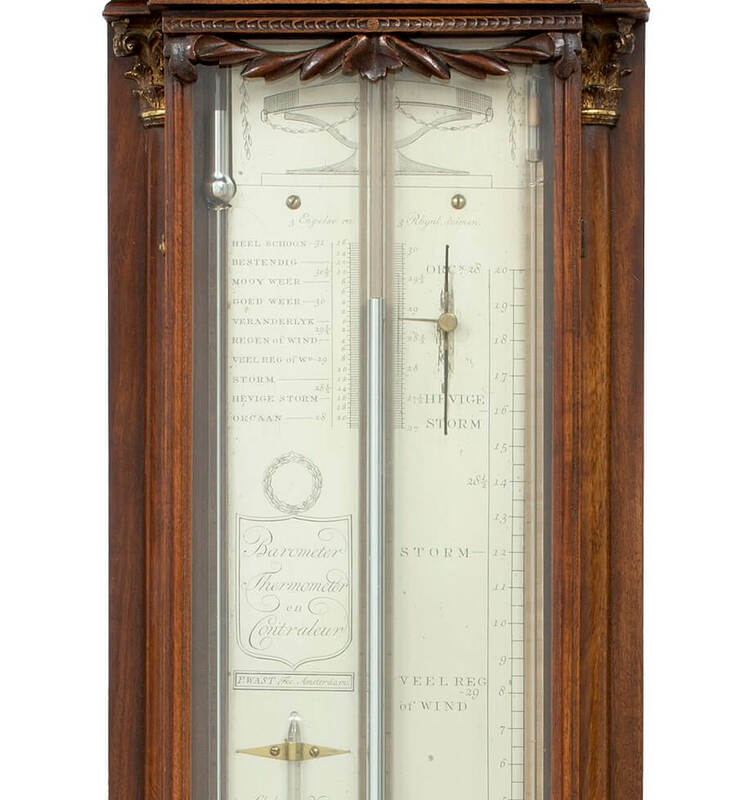 In the 18th Century a lot of effort was put into a means to enlarge the scale of the barometer. There are angled or sign post barometers and wheel barometers. 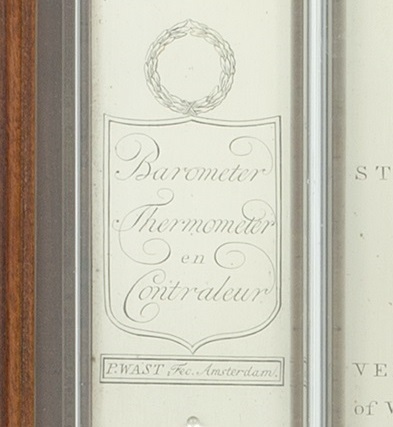 But in Holland the ‘bakbarometer’ was devised. 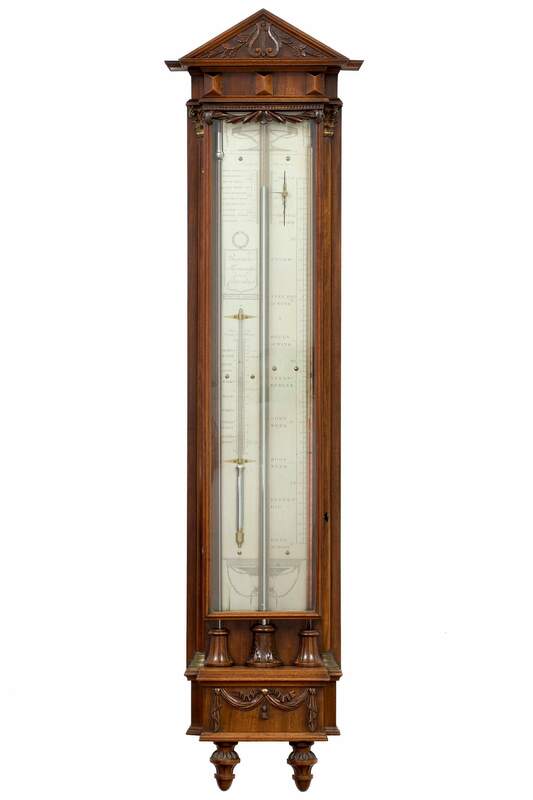 The middle tube is the standard Torricelli tube which is called the controller since this is the classic barometer. The tubes on both sides of this are actually one tube which runs as a U through the cistern cover at the bottom. The left side is filled with mercury all the way to the bottom of the right part of the tube. Here is a syphon that holds oil that protrudes further to the right part of the tube. A small change in the mercury level is enlarged by the syphon that makes the oil fluctuate in a much larger way. Thus creating a scale which is about 55 centimetres and therefore much easier to read. 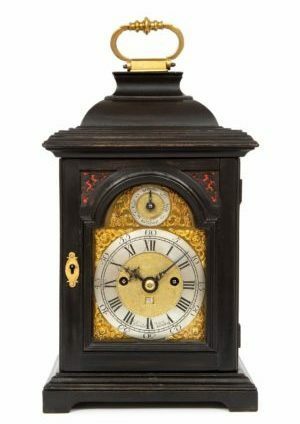 This fine piece with its silvered brass plates and finely made mahogany case was made by a member of the Wast family, known as the best barometer makers in Holland. 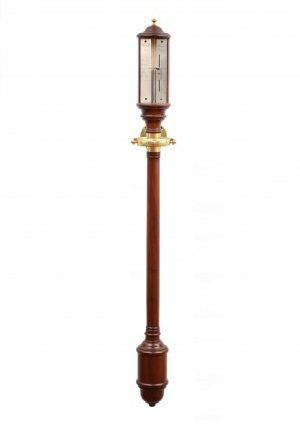 Although one might not need a barometer anymore with the modern weather reports, one can still use it to predict the weather. 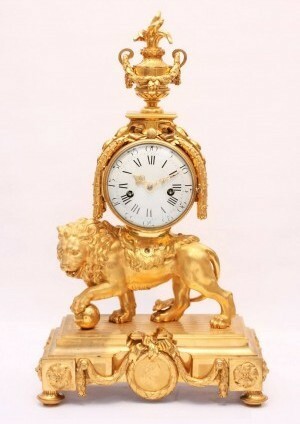 But it will remain a fascinating beautifully made object that will embellish any interior.